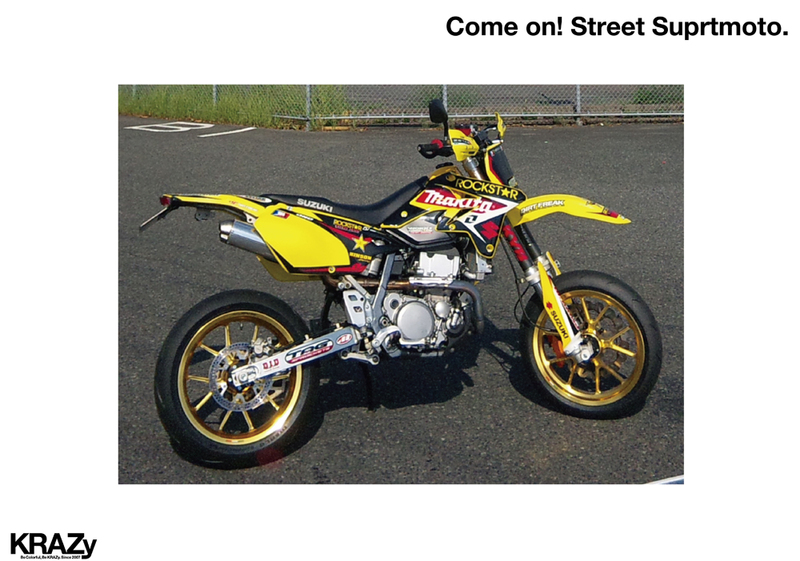 We are going to feature custom Supermoto vehicles. Please send photos. 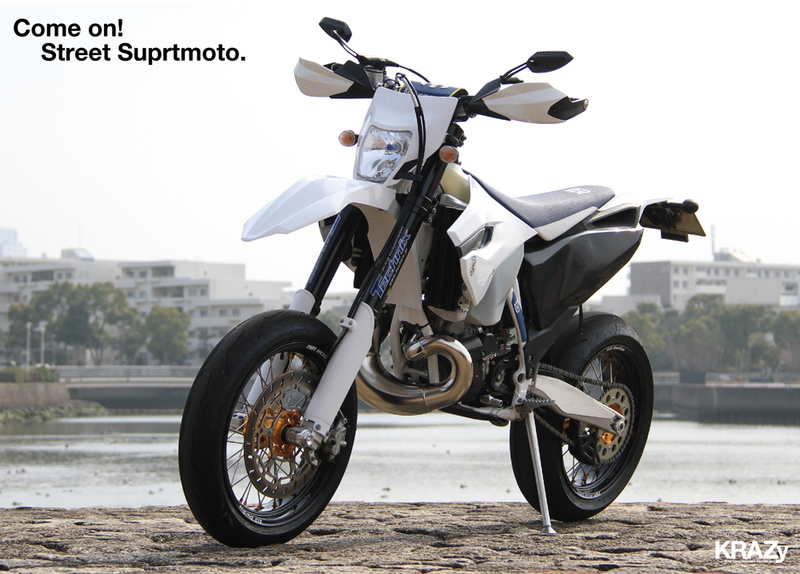 ■We are going to feature custom Supermoto vehicles. Please send photos of your precious vehicle. 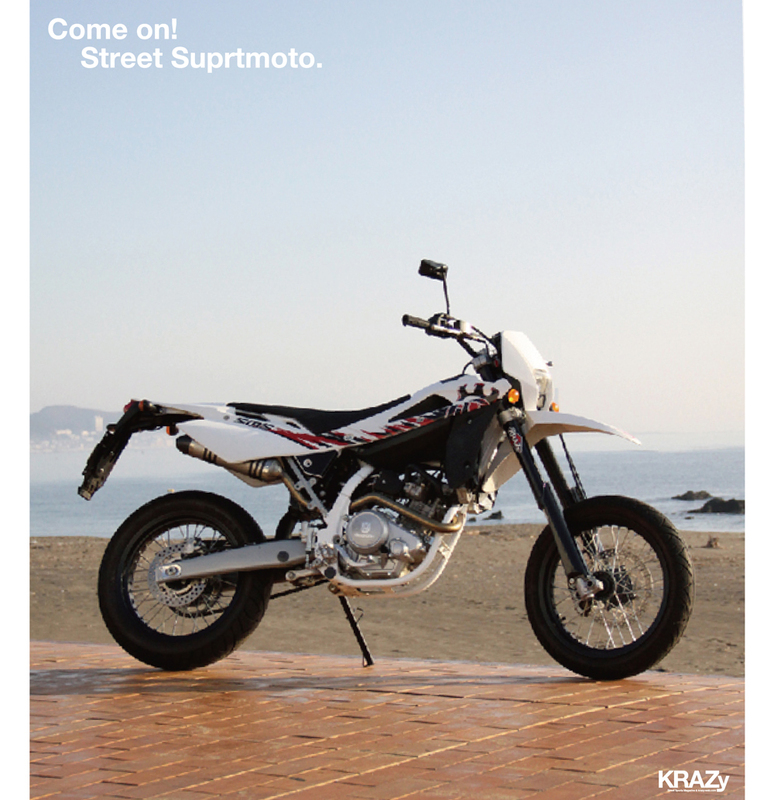 We are going to feature Supermoto custom vehicles on the KRAZy Web Magazine. 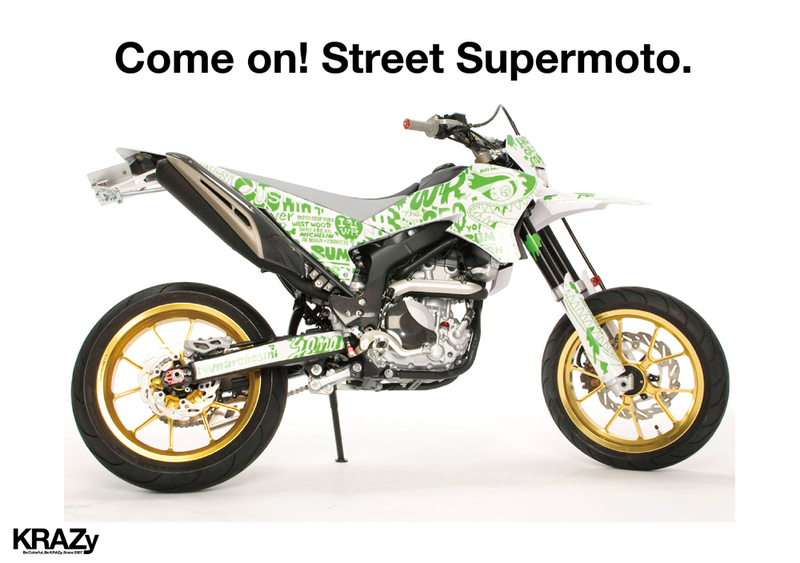 Would you please send us photos of your custom Supermoto street vehicle? We will give limited version KRAZy stickers to all of you that send us photos. ●We only want street legal vehicles with license plates. ●If there are any points that you want us to focus on please explain that as well. ○Please send to kondo@kondo-design.jp and make sure to attach picture to it. Name of vehicle, model year, your name, country, address, and phone number. If you want us to use your nickname when we use your picture, tell us your nickname in addition to the information above. ○The Application period is from October 1, 2017 to October 15 2017. (e.g. “Supermoto KRAZy John Jackson). We here at “KRAZy” are particular about sending information. We generate revenues from advertisements and the sales of goods because we want future motorcycle fans and future mortar race fans to look up this website. It would be nice if you buy our merchandise once a year to help us continue this website. We sell merchandise 4-5 times year online only. 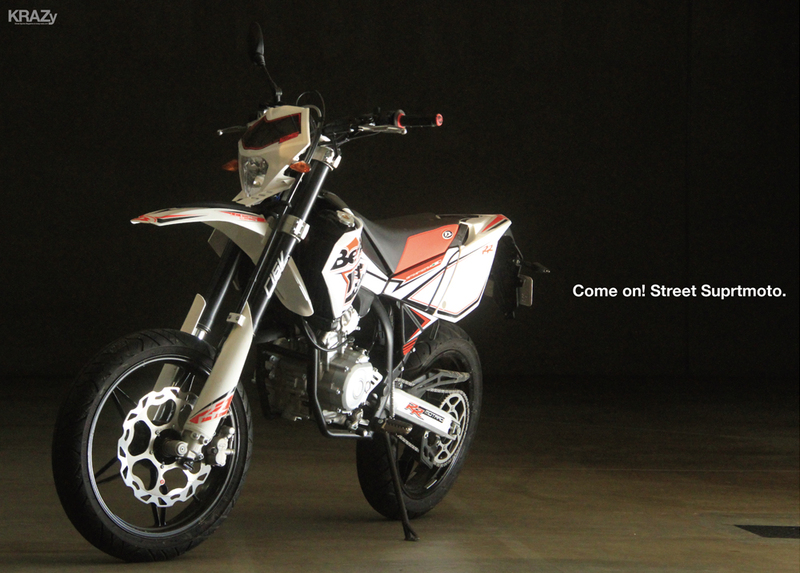 2017.10.04 We are going to feature custom Supermoto vehicles. Please send photos. 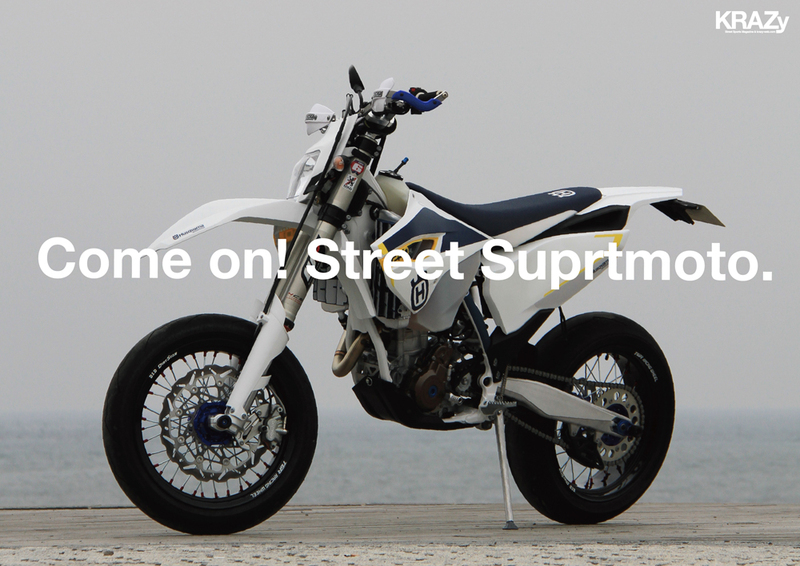 2017.09.20 We are going to feature Supermoto custom vehicles. 2017.05.30 Supermoto Japan 2017 opened on April 29th & 30th at Okegawa Sports Land in Saitama. 2017.04.25 Supermoto Japan 2017 is opening. 2017.04.06 The very popular Karuizawa Prince Ski Area “Snow Ride” has ended. Thank you so much. 2016.12.09 All Japan Supermoto Championship. WGP champion Hiroshi Aoyama participated as well. 2016.05.15 SUPERMOTO JAPAN '16 #300Takayama's first victory.